It was not easy getting the film released in Pak, but we were determined as Maharaja Duleep Singh was born in Lahore, says the director of The Black Prince, Kavi Raz. 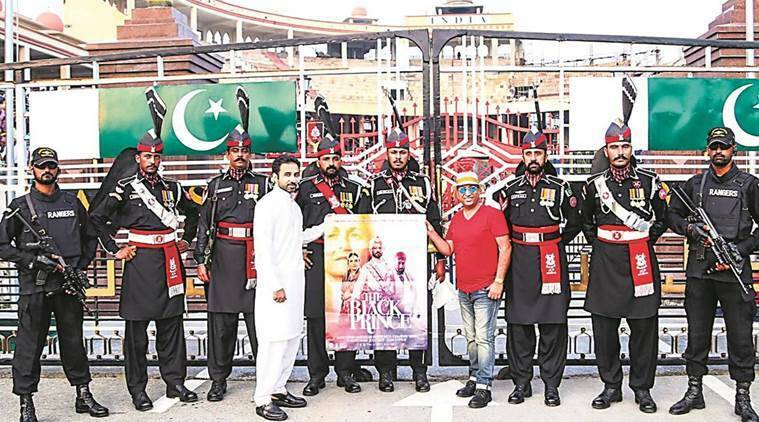 Harry Brar, one of the producers of the film, and Farhan Khan, a team co-ordinator from Pakistan, at the Wagah border. In a move that has come as a pleasant surprise for the makers The Black Prince, the film has been cleared by Pakistan’s film censor board without a single cut and has now released in the neighbouring country which is the birthplace of the last Sikh ruler Maharaja Duleep Singh. Based on the life of Maharaja Duleep Singh who was born in Lahore (now in Pakistan), the film narrates his tragic real life story who became a king at the age of five, was separated from his mother at 11 and exiled to England at 15. The youngest son of the mighty Maharaja Ranjit Singh, he was taken to England by the British, who saw this young king as a threat to their empire in India. 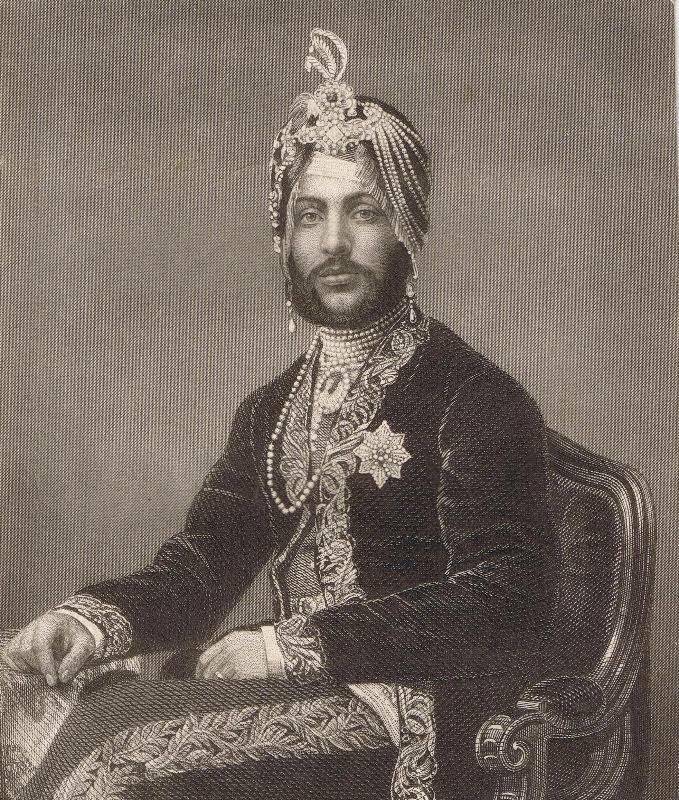 Duleep Singh grew up under the patronage of Queen Victoria. Converted to Christianity, he met his mother again after 13 years. The Maharaja, torn between two worlds, began a journey to connect to his roots and converted again to Sikhism. Pakistan censor board’s clean chit to The Black Prince has come as a surprise, considering that various recent Bollywood films, made on hard-hitting subjects like Neerja, Dangal, Tere Bin Laden, Naam Shabana, Jolly LLB 2, Begum Jaan and others had hit the censor hurdle across the border and were not allowed to release or the filmmakers were asked for cuts in scenes which either showed Pakistan in poor light or glorified India. “Seeing that The Black Prince also touches sensitive subject of the diamond Kohinoor and how it was deceptively taken away from the Indian prince, the movie has been given clearance in Pakistan. It is a big achievement for us,” said its director Kavi Raz, speaking to The Indian Express over phone from Pakistan, where he reached Saturday for its premiere. The film has released in over 50 theatres in Pakistan. It has been released in English and Hindi. The film stars Shabana Azmi, Satinder Sartaj among others. “It was not easy getting the film released in Pakistan but we were determined for it as Lahore is the birth place of Maharaja Duleep Singh. Speaking to The Indian Express, Raz said, “We went through tremendous pains to set up the release in Pakistan. Once Geo (distributors) showed interest, we reached some other contacts and formed a team in Pakistan. It was all done within the last 15 days. In fact, the clearance from their censor board came Wednesday, just two days before its release on Friday. Our co-producer was rushed to Lahore to coordinate and arrange publicity drives,” said Raz. In a rare gesture, Syma Khar, one of the censor board members of Pakistan, also wrote a mail appreciating the film. “It is rare that a foreign made film gets released in Pakistan without a single cut. Pakistan usually takes a heavy hand on films coming from outside, but Khar has written us a mail praising the film, its concept, script, direction, locations, costumes etc. She said they did not find anything objectionable or wrong in the film,” said Raz.